Posted On October 01, 2014 by Team iCynosure. As soon as the Lakme Fashion Week concluded, some of you wonderful readers have been asking me about the collections and new designers/brands and my thoughts about them. I’ve been thinking about different ways to bring some of these fabulous brands and designers to you instead of just reporting about the collection on the ramp. After speaking to some readers and some amazing designers who we are collaborating with I’m going to bring these amazing fashion brands to you over a period. 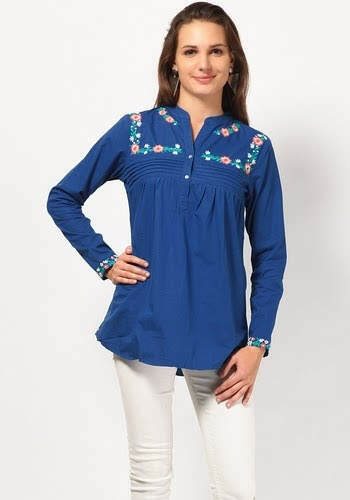 First up is a brand that offers affordable fashion, extremely chic and yet easy on the pocket, B:kind. Vidhi Shah, the creative head behind B:kind promises quality ensuring style, trend and affordability. The Autumn Winter 2014 Collection offers a variety of digital and concept prints through different techniques while Indigo is the colour for the season. After her Masters in Fashion Communication and Marketing from Instituto Europeo Designo in Milan, Italy; Vidhi launched her own line of clothing B:kind in 2010. Over the last few years, the brand has branched out and is available on leading e-commerce websites. Speaking about her newest collection, Vidhi emphasized how they are reinventing the brand with every collection and working towards something for everyone, whatever the personal style. The AW2014 collection has a gorgeous colour palette with lush bright hues in a range of materials, textures and cuts. 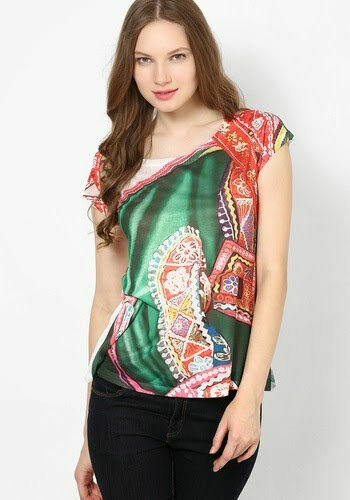 From printed tops to graphic t-shirts to tunics b:kind is for the woman with a defined sense of style. 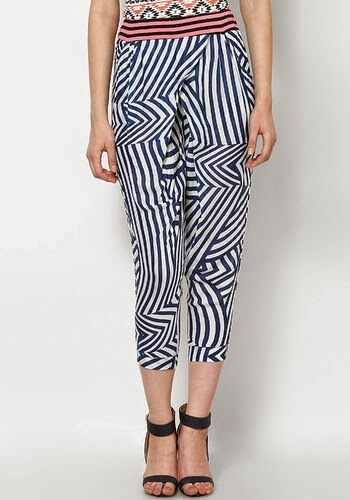 I’ve taken a fancy to some amazing products especially the current fashion staple treggings and printed pyjama pants. Some pieces are laced with a hint of red adding some edge to the popular Black & White monotones. There is also some amazing florals and stripes that are sure to find a way into my shopping cart. Have you shopped from B:kind? Not as yet? Check the new collection on their website, like them on facebook for regular updates. Stay tuned for how I style some pieces from the collection next up. Do you have a favorite piece from the collection? Let me know in the comments below..